The Squash Racquet Pendant features a squash racquet set on a hoop. The pendant is attached to a barrel which the necklace chain is thread through. 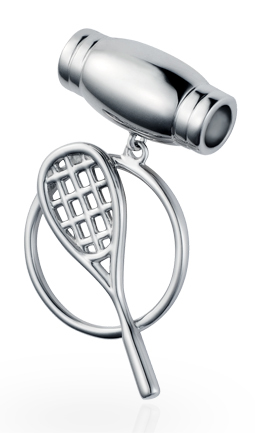 The Squash Racquet Pendant is 925 silver.